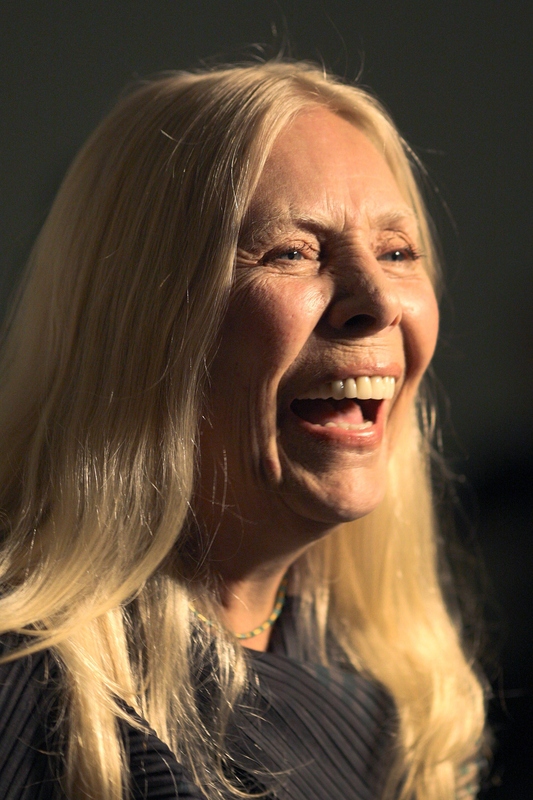 Earlier today, TMZ reported that Joni Mitchell was in a coma, but thankfully, USA Today is reporting that the legendary singer is not unconscious and is expecting a full recovery. Cheers to that! Mitchell rose to fame after she moved from Canada to the United States in 1965. She went on to record her 1971 record Blue, which is the 30th greatest album ever, according to Rolling Stone. Besides being an incredibly talented singer and songwriter who helped define a decade, Mitchell is also a 1970s style icon. Mitchell blended gypsy with mod, often wearing her long hair straight as a board with a middle part. She was hippie chic perfection back in those days, and we are happy to say not much has changed. It’s a style she’s managed to stay true to, all while aging with grace and beauty. Lucky for us, the ‘70s styles are back in full force. The upcoming year will bring fringe, flowy silhouettes, peasant tops and we can’t wait. And who better to look to for some ‘70s outfit inspiration than Joni. To celebrate her road back to health, we rounded up our 11 favorite fashion moments from the icon.